Cross Chrysler Jeep Fiat has been serving the automotive needs of the Louisville Kentucky and Southern Indiana areas since 1934. Long known as the place in Kentuckiana to buy or service a new or used Jeep Wrangler, Grand Cherokee, Patriot or Compass. Over the years, we’ve grown to offer more of the product lines you’ve learned to love! Our convenient location is just off the Watterson Expressway and in the heart of Jefferson County at 1501 Gardiner Lane, in Louisville, KY. We’ve also gained a reputation throughout the years of offering pristine used vehicles. We specialize in arranging financing for people with all types of credit, good or not so good. If you have had a fender bender, we can also help return your vehicle to like new condition in our full service Body Shop. Starting with our selection of new Jeep, Chrysler and FIAT models, our Louisville showroom is the place to be if you’re in the market for a Jeep Grand Cherokee, Jeep Cherokee, Jeep Wrangler Unlimited, Chrysler Pacifica (previously Town & Country) or Chrysler 200. Looking to save some money in the search for your next car? Cross Chrysler Jeep FIAT also carries a wide range of used cars from Jeep, Chrysler and FIAT, as well as today’s other top automakers. Once you’ve chosen your next car, Cross Chrysler Jeep FIAT helps you take those all-important next steps towards driving home the Jeep, Chrysler, or FIAT of your dreams. Our team of financing experts is trained to sort through various auto loan and lease details in order to help you find the right vehicle for your needs. 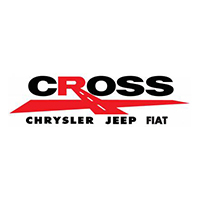 Even after you’ve driven your new Jeep Grand Cherokee, Jeep Cherokee, Jeep Wrangler Unlimited, Chrysler Town & Country or Chrysler 200 out of our showroom, Cross Chrysler Jeep FIAT continues to support you in order to ensure you have a great ownership experience. Our Jeep and Chrysler service department offers everything from routine maintenance to repairs, when they’re needed. And for those of you who prefer to tinker under the hood yourselves, we keep a healthy stock of auto parts for your endeavors as well. As you can see, Cross Chrysler Jeep FIAT is equipped to handle all of your automotive needs, though we also keep in mind that everybody brings something different to the table. That’s why we encourage you to contact us at (866) 747-1624 to see just what we can do for you today! For Five Star Service before and after the sale, it’s Cross Chrysler Jeep FIAT, Kentucky’s #1 Jeep Dealership.